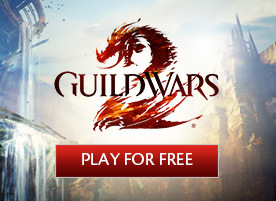 Guild Wars 2>News>Guild Wars 2: Heart of Thorns Is Available for Pre-Purchase! Guild Wars 2: Heart of Thorns™ is now available for pre-purchase! Pre-purchasing will grant you the exclusive Maguuma Trailblazer title and access to all future Guild Wars 2: Heart of Thorns beta weekend events. 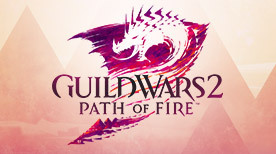 You can pre-purchase the game through the official Guild Wars 2 site. The Standard edition of the game includes access to Guild Wars 2 and Guild Wars 2: Heart of Thorns. The Deluxe edition of the game includes the above as well as an additional character slot for your account, a Miniature Revenant Rytlock, a Revenant Finisher, your choice of one of three Mordremoth’s Bane guild-hall decorations, and a stylish glider skin. 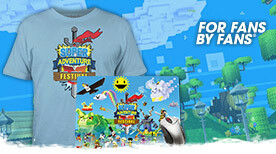 The Ultimate edition of the game includes all of the above in addition to 4,000 gems. The Ultimate edition will not be available as an upgrade and must be purchased as a full game package. Every edition of Guild Wars 2: Heart of Thorns includes access to the core Guild Wars 2 game, so you can start your journey right away. All virtual items will be delivered to your account immediately for instant enjoyment, although your glider skin and guild-hall decoration will not be usable before Guild Wars 2: Heart of Thorns launches. For more information, please visit our pre-purchase FAQ.